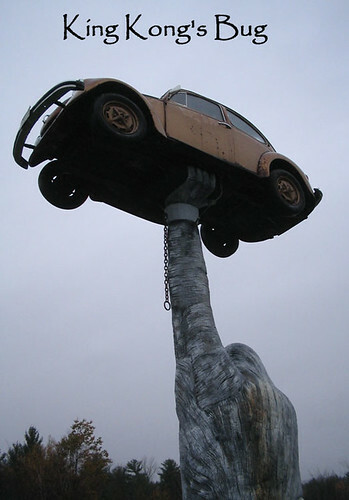 Here is an unusual statue of a giant gorilla holding a Volkswagen Beetle up in the air. 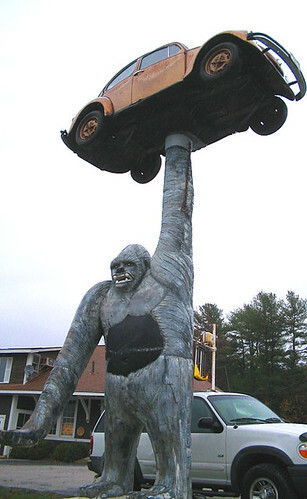 Located on the property of Pioneer Auto Sales on highway 7 between the towns of Salisbury and Leicester, Vermont, it seems it was placed here as an advertising to catch the eyes of the motorists driving along the highway. 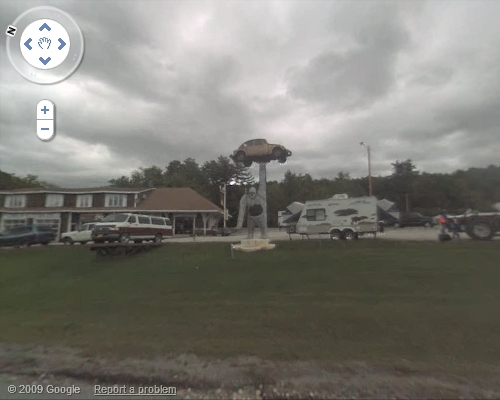 Made of reinforced concrete, it was made in 1987 by T.J. Neil. Not being a connoisseur of art I don't know if it is art or not but it is definitely a good piece of advertising.